SCVHistory.com GZ0602 | People | Pam Bordelon and Monica Haywood, 1966. 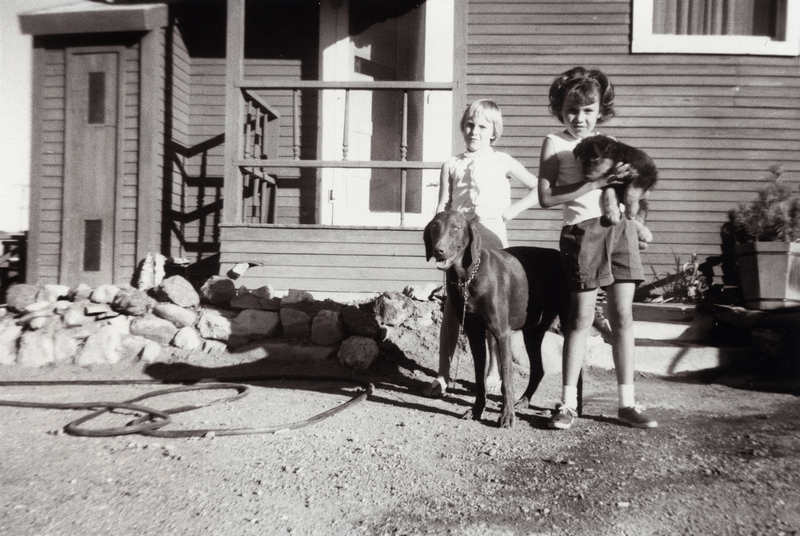 Pam Bordelon (later Koopman), 8, and her friend Monica Haywood, 7, with their dogs, Brownie and Fritz. According to Pam's sister (photo contributor Michelle Bordelon Gonzales), the year is 1966. Location unknown; possibly Western stuntman Jack Lilley's ranch in Honby, where the Bordelon girls boarded their horses. GZ0602: 9600 dpi jpeg from original photograph; online image only.